– so what went wrong? 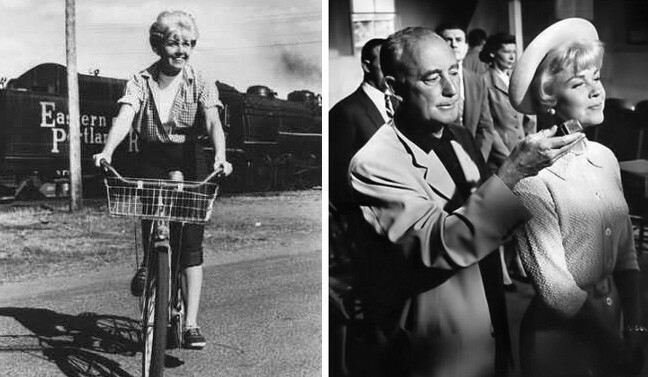 It Happened to Jane was filmed in the summer of 1958, but not released until almost a year later. 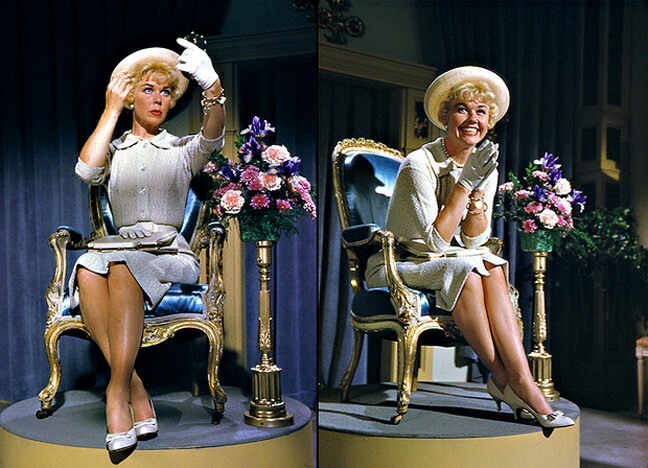 It had all the elements that should have made it a hit: Doris Day in the leading role, and two terrific co-stars – the marvelous Jack Lemmon and the very funny Ernie Kovacs. It also had a top-flight supporting cast, a good old-fashioned come-from-behind story, and beautiful Technicolor location photography in picturesque Connecticut (not Maine, where the story actually takes place). Why this picture received lackluster attention from audiences has long been speculated. As did many critics, who loved the film, Lemmon blamed its disappointing box-office on the title. Columbia Pictures seemed confused about what to call it. In production it had been labeled That Jane from Maine and later, in Europe, its title was changed to Twinkle and Shine. 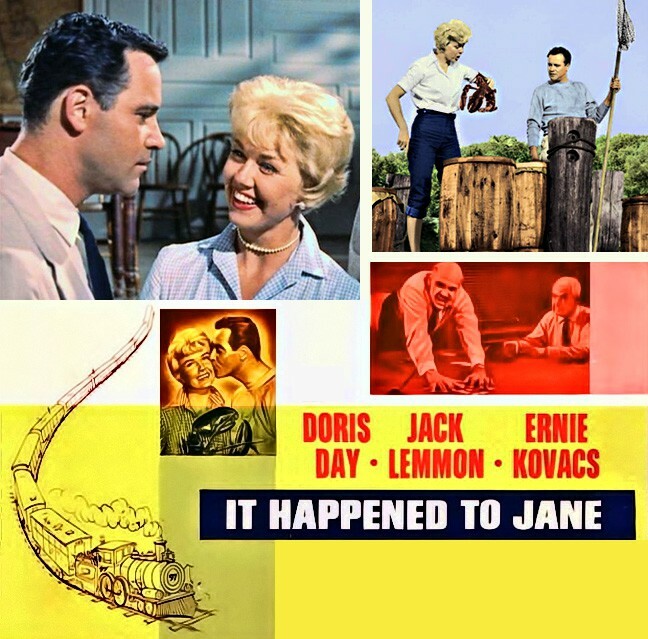 Doris Day, Jack Lemmon, It Happened to Jane. The film centers on Jane Osgood (Day), a widow with two children, who single-handedly runs a struggling lobster business. She has entrusted her shipment of live lobsters to the Eastern & Portland Railroad, which is supposed to deliver them to restaurants, but she hits a snag when Old 97, the freight train, is re-routed from its original destination. The lobsters are returned to her in remote Cape Ann, dead on arrival. Harry Foster Malone (Kovacs) has taken over the railroad and has new ideas of what to do with it. Delivering lobsters is not in his plan. He envisions making a lot more money by turning the freight train into a fancy commuter train, ignoring the local people who depend on Old 97 to keep their homes and businesses afloat. Ernie Kovacs, It Happened to Jane. Enraged, Jane solicits the assistance of her childhood friend, George Denham (Lemmon), a local lawyer running for public office. He assures Jane that hers is an open and shut case and that she will easily recover her money for the ill-fated shipment. In New York, Malone’s board of directors acknowledges its liability for Jane’s loss and decides to present her with a check, in person, in the interest of public relations. Jane refuses the check, however. She believes that this fiasco has ruined her potential for a successful selling season and that their $700 will not nearly compensate her for that loss. Jane sues the E&P and wins her case, but this sets in motion a series of increasingly nasty retaliations by Malone. Through Jane’s appearances on New York television shows to publicize her plight, the escalating war between this small-town business woman with her one lawyer and the wealthy, powerful corporate executive with his 25 attorneys becomes nationwide news. Public opinion is solidly on Jane’s side and eventually Malone concedes defeat. The film ends with Jane and George becoming engaged to be married and a town celebration for his election as council man. Doris Day waiting on set, It Happened to Jane. This is a charming film. Using local townspeople gives it authenticity, Richard Quine’s direction is right on the money, and Norman Katkor’s screenplay is dandy. Lemmon is great as the young lawyer who secretly loves Day. Theirs was a magical pairing that warranted repeating, with both stars later saying they would have liked to work together again. 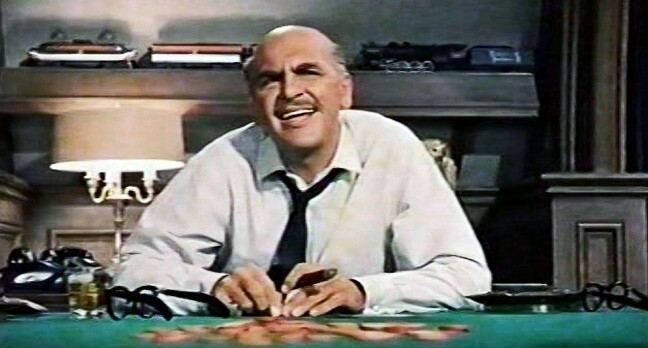 Kovacs, in a rare film role, is perfect as the gruff and hateful Malone. Steve Forrest, who gives a believable performance as a newspaper reporter, would have been a good romantic match for Day in another picture. I enjoyed Mary Wickes, as usual, and Russ Brown was good as Uncle Otis. As is evident in every performance in which Day portrays a mother, her onscreen chemistry with children – in this case, Teddy Rooney and Gina Gillespie as her son and daughter – is very natural. She sings the bland title song, co-written by director Quine, and a cute Joe Lubin composition called Be Prepared. 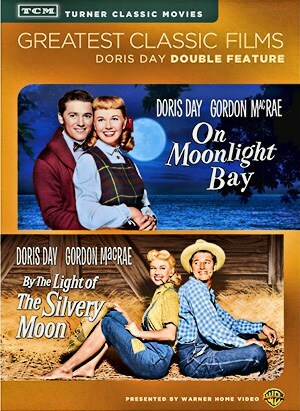 “This bright and breezy comedy from the quirky, witty and underrated director Richard Quine stars Doris Day as the Jane from Maine, who becomes a national heroine when she sues Ernie Kovacs’s grasping railroad boss for putting her lobster farm at risk. 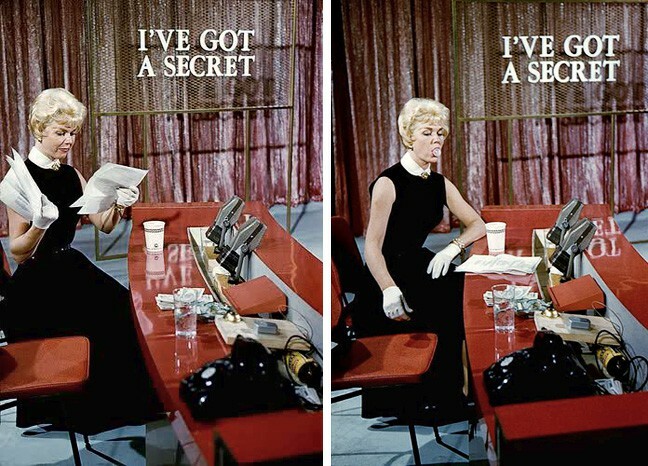 Doris Day gets ready for a scene in It Happened to Jane. “On face value It Happened to Jane looks like just another one of those Doris Day movies where she is paired up with an adequately handsome and charming male lead and then a mix of fun and romance ensues. But whereas the likes of Pillow Talk and Lover Come Back had a good romantic streak, It Happened to Jane is more of a comedy and a surprisingly good one thanks to both Doris Day and Jack Lemmon on fine form when it comes to having fun. Doris Day on the set of It Happened to Jane. 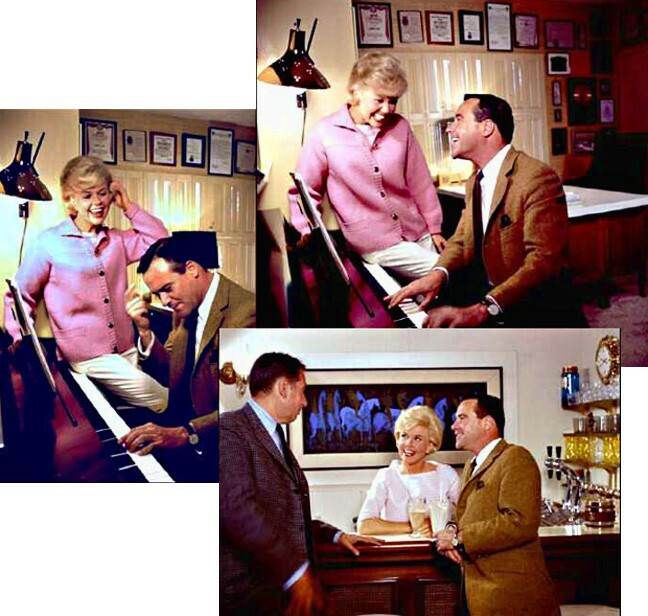 Jack Lemmon visits Doris Day and Martin Melcher at their house.